The University receives four certificates of appreciation for its participation in Beirut Marathon. The University receives four certificates of appreciation for its participation in Beirut Marathon For the second year in a row, the University of Information Technologyand Communications received four certificates from Beirut Marathon to participate in and contribute to the success of the Bloom Bank Marathon Beirut, which was held in Lebanon. 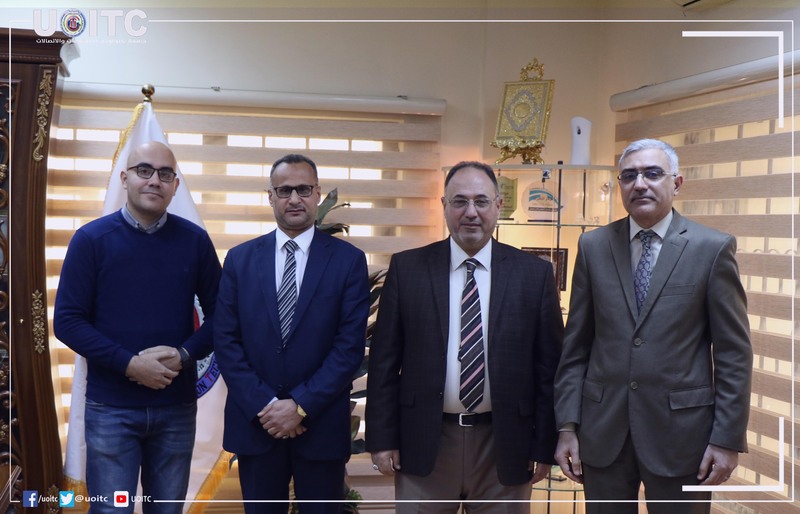 The Director of Students Activities Department at the University of Information Technologyand Communications, Dr. Imad Kazem Al Kaabi gave the President of the University a letter of thanks and appreciation. In turn, the President of the University awarded certificates of appreciation to the Administrative Assistant Dr. Abbas Fadel Al Jubouri, Dr. Imad Al Kaabi and Director of the Technical Activities Division, Department of Student Activities at the University the lecturer Mohammed Abdul Rahim, It is worth mentioning that the University of Information Technologyand Communications participated through the Student Activities Department at the Beirut Marathon and the student Omar Abdul Razzaq, one of the students of the Faculty of Business Informatics at the university, received 26 out of 47,000 contestants from different countries.